Retrieve: Where you notice the improvement in this generation Ryoga over the previous is the very second you turn the reel's handle. 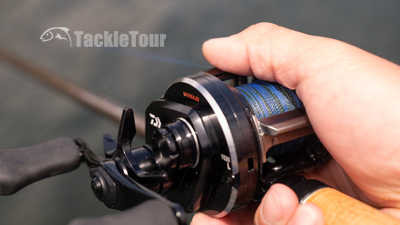 The 1520CC-L is equipped with a ninety millimeter (90mm) handle, connected to those brand new, Hyper Mesh gears that are every bit as smooth and buttery as Shimano's Micro-Module system. First it was oversized gears, and now it's about equipping those oversized gears with smaller teeth. I cannot wait until Daiwa trickles these gears down to their low profile reels and for Megabass to incorporate them in a refreshed LIN10 lineup. The 1520 is slightly wider, but the same diameter as the 1016. Power: Of course, not only are these gears smooth, but they deliver a tremendous amount of power - especially in the low gear ratio model we're reviewing right here. I had to move the 1520L-CC around to a few different rods, and tie on a bunch of different baits, but everything from deep diving cranks to big swimbaits are a piece of cake with this reel. 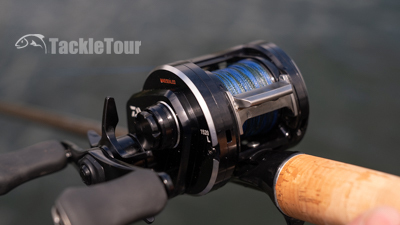 The wider body and spool of the 1520 makes for a very stealthy, compact swimbait reel. Drag: Back at the lab, cranking the reel's dragstar down as tight as I could with my less than powerful fingers, I was able to get 11.8lbs of max pressure on The Machine. I've no doubt someone with a stronger grip can tighten the drag down further to achieve or even surpass the rated 13lbs. 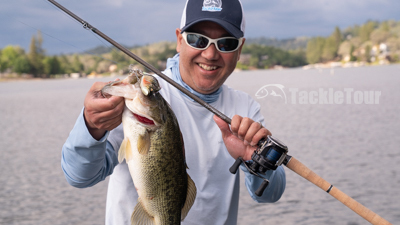 More importantly, out on the water, with rod bent and a crazy fish at the other end of the line, the Ryoga's drag performs as expected but with the unexpected audible click like a spinning reel. A reminder the reel is actually intended for inshore applications. Design & Ergonomics: The 18 Ryoga 1520L-CC weighed in on our scales at nine and a half ounces (9.5oz). It is not a reel for those seeking the lightest of light. It is, after all made entirely of aluminum and from what we've been able to uncover, features brass gearing. 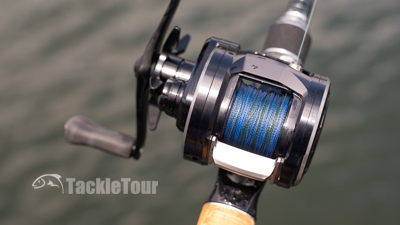 Round reels certainly do not sit as low on a rod. 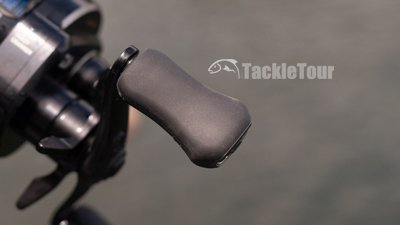 The non-handle sideplate can now be opened up via an open/close switch at the back of the reel similar to how most low profile baitcasters handle removal of this sideplate. Otherwise, for the most part, the reel's shape, depressed top bar, etc., remain unchanged from the previous generation. But palming of the 1520 sized Ryoga is not bad. Price & Applications: We're uncertain at what price point Daiwa-USA plans to offer the new Ryoga. We can tell you that over in the JDM, it is listed at 56,500 JPY which at today's exchange rate comes to roughly $515. JapanTackle.com has the reel available for order right now for $457 ($453 for the 1016). Then again, I enjoy fishing round reels. Though designed as a reel for inshore applications, in bass fishing terms, this reel is suitable for everything save for finesse applications. I really like how the slightly wider 1520 model is suitable for big bait applications especially if you spool the reel with braid like we have. Not to be lost in all of this are the new I-Knobs on the Ryoga - these are very comfortable. + Finally, a robust, round reel returning to Daiwa's lineup - Still a serious investment, but what enthusiast round reel isn't? 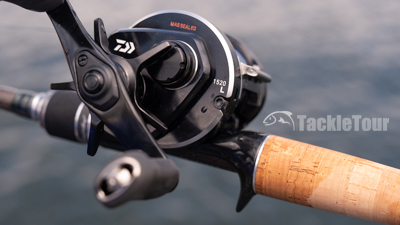 Perhaps a domestic version will be more "affordable"
Conclusion: Daiwa's 2018 interpretation of the Ryoga is, in all practical terms, a beast. My only two complaints about this reel are #1 - lack of dynamic casting performance and #2 - the inability to open the reel up yourself for maintenance. 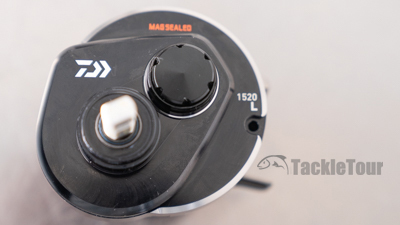 Understandably, the presence of MagSeal bearings complicates matters and Daiwa probably doesn't want to deal with the headache of people opening these reels up and spoiling the bearings. Just the same, if I'm going to spend $500+ on a reel, I'd like the ability to open it up for myself. Daiwa's 2018 interpretation of the Ryoga is, in all practical terms, a beast. 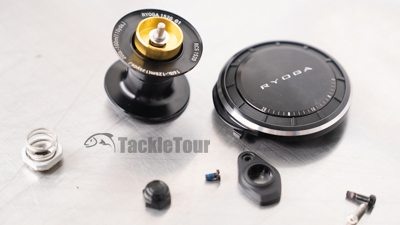 Of course, there's the other school of thought that maybe the MagSeal reels like the Ryoga and our previously reviewed Exist are more like fine tuned watches, and maintenance of these finely tuned machines should be left to the factory. I'm not actually sure how I feel about that point of view. One more item to attend to... Daiwa's 18 Ryoga's Ultimate Enthusiast Award. Regardless, I'm just ecstatic that we will finally see a return to the North American Market of a robust, high end, round reel from Daiwa. 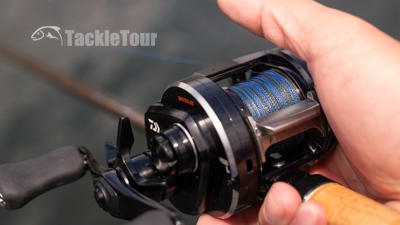 I really like the new, stealthy look, and Daiwa's new Hyper Mesh gearing is for real. Now that the review is done, all I need to is find an SV spool to swap in and play with to see if that will open up the reel to more dynamic casting performance. Oh but not so fast, there is one more item to attend to... Daiwa's 18 Ryoga's Ultimate Enthusiast Award.